Dec. 28, 2011 — Zenescope Entertainment has announced plans to release a brand-new miniseries under its Grimm Fairy Tales label entitled “The Jungle Book.” Just as Zenescope has cleverly and effectively reimagined stories inspired by literary classics such as Wonderland, Sinbad, and Neverland, this new miniseries will use Rudyard Kipling’s timeless stories as a springboard to tell tales exploring the adventure, the wonder, and the horror of the jungle and the beasts that inhabit it. The new five-issue miniseries will follow Mowglii, a young girl raised by wolves who finds herself in the middle of what the animals call The Great Animal Battle. Mowglii must learn her place in the jungle and fight for survival against many exotic beasts. But she is not the only human in this jungle island. Three other children have been raised by different animal tribes: Bomani grows up in the tiger tribe that is led by the conniving Shere Kahn, Akili learned the ways of the jungle from the mischievous Tavi mongoose tribe, and Dewan comes of age within the unpredictable Monkeys of Bandar Log, which is led by the insane King Bandar Louis. Mowglii and the rest of the human cubs play key roles in the ongoing Great Animal Battle of Kipling Isle as they approach adulthood. 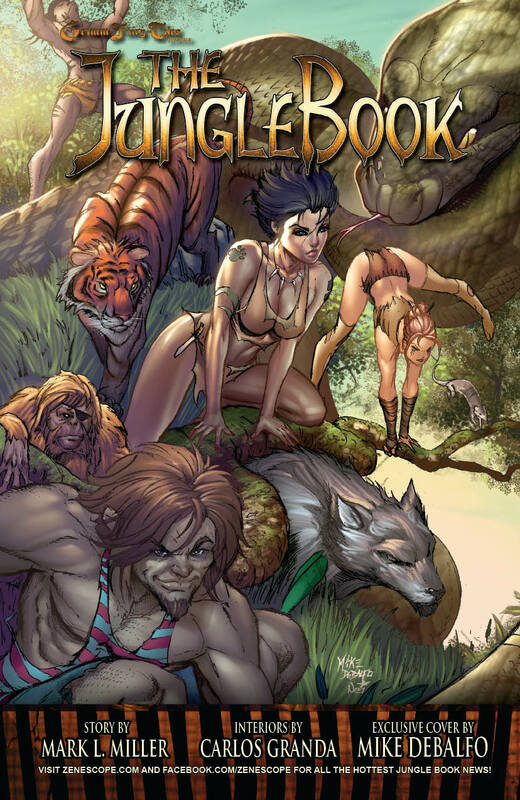 “Grimm Fairy Tales Presents The Jungle Book #1” will hit shelves in March of 2012, and feature four connecting covers by artist Ale Garza and a retailer incentive cover by Mike DeBalfo. It currently is available for order through Diamond Previews for $2.99 and in full color. For more information, visit Zenescope’s website at www.zenescope.com or its Facebook page at www.facebook.com/Zenescope. Zenescope Entertainment was founded by Joe Brusha and Ralph Tedesco in 2005, and has quickly grown into one of the top comic book and graphic novel publishing companies in the world. Zenescope’s Grimm Fairy Tales and subsequent spinoff series such as Escape From Wonderland, Neverland and The Piper, which put a dark twist on classic fables, are some of the best-selling and longest-running original independent comic books on shelves today. 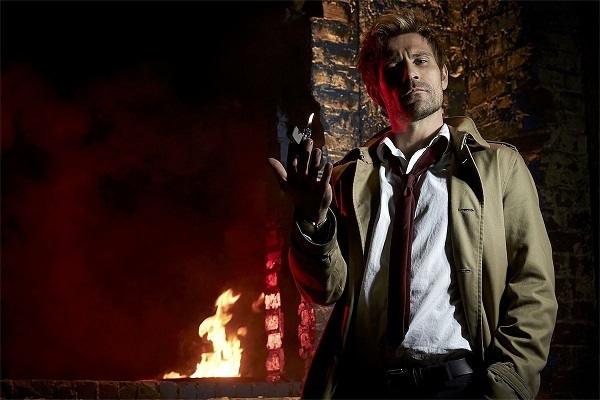 Zenescope’s licensed titles include the on-going, critically acclaimed Charmed series, based on the long-running popular television series, as well as Se7en and Final Destination, based on New Line Cinema’s successful film franchises. Can't wait to get subscribed to it.